Assisted living started out as an alternative for seniors who needed a little help with their day-to-day needs. But now it has become a big business that isn't always consistently scrutinized. Use this guide to find quality care for your loved one. There are 750,000 Americans living in assisted-living facilities. And as baby boomers age, that number is expected to grow. The average cost for a private, one-bedroom apartment in an assisted-living residence averaged $3,450 per month in 2013 – nearly 5 percent more than in 2012. The minimum age for assisted-living caregivers in some states is just 16. Facility administrators aren’t required to have a high school diploma in 14 states. Search for quality assisted living in your community with links and resources from the Administration for Community Living. ProPublica and PBS “Frontline” have teamed up to investigate and highlight the loose regulations and increased risks to seniors in assisted living. 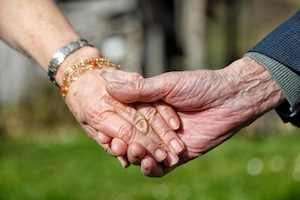 Personalized help finding the right assisted-living facility is available through Caring.com. Compare costs, learn about ratings and read reviews of different facilities in your state. Because of legal and bureaucratic loopholes, drug makers can’t be held accountable if their drugs injure or kill Americans. Join those petitioning the FDA to restore accountability.